Dark cabinets are starting to trend in 2019. Add drama and sophistication with a beautiful contrast. 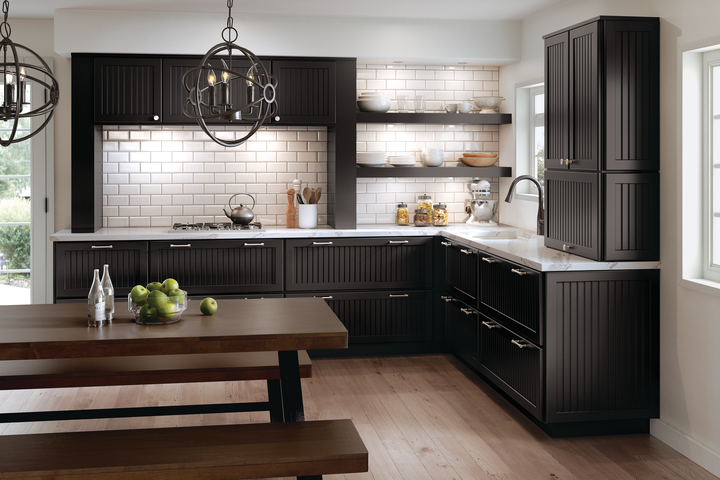 This kitchen shows our Merillat Masterpiece® Collection door style, Burton, in Onyx paint. Clean lines are created by the contrast of a dark finish paired with stunning quarts countertops and a simple white subway tile. Get this look by contacting your local Merillat® dealer. Click the button below to add the Merillat Masterpiece® Collection Burton in Onyx to your wish list.